The ﬁrst problem is that there isn’t enough emphasis on the exceptional nature of language as a human faculty. In particular, the putative parallels with animal communication and cognition are at times exaggerated. Take statements like this: ‘[e]ven syntax, at least at a simple level, ﬁnds analogs in other species (e.g. bird and whale ‘‘song’’) which can help us to understand both the brain basis for syntactic rules and the evolutionary pressures that can drive them to become more complex’ (18). While there’s SOME truth in the ﬁrst half, given the existence of both hierarchical structure and simple dependencies in animal ‘syntax’ (see Hurford 2012 for an excellent survey), I fear that a non-linguist reading the claim that analogues of syntax are found in other animals would get entirely the wrong idea. Grammatical systems in language are NOT merely a more complex version of animal communication systems, which are entirely non-compositional, with no duality of patterning, and which do not contain word classes or headed phrases. I feel like Tallerman is claiming that her view that language is exceptional as indisputable fact, rather than as a standpoint. 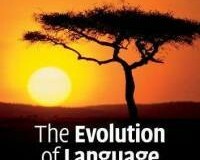 However, the view that language is unique among cognitive processes and is unique to humans, is still a very contentious matter and many linguists, biologists and cognitive scientists hold the legitimate opinion that language may well just be the result of domain general cognitive processes and that comparative studies of human and animal abilities have a large roll to play in the future of language evolution research. This is certainly a very attractive standpoint for biologists. 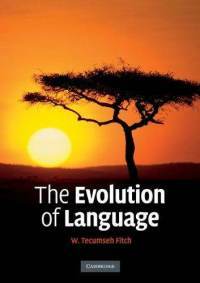 I know Hauser, Chomsky & Fitch (2002), the paper for which Fitch is probably most famous in language evolution, put some emphasis on their being an faculty for language, in both a broad (FLB) and narrow (FLN) sense, and Tallerman mentions that the FLN is, “namely, whatever is both uniquely human and uniquely linguistic”. But, Hauser, Chomsky & Fitch (2002) in fact argue that “FLN may have evolved for reasons other than language, hence comparative studies might look for evidence of such computations outside of the domain of communication (for example, number, navigation, and social relations)” – which is completely consistent with the emphasis being away from language being so exceptional, and on the importance of animal studies. Fitch has written a couple of papers with Chomsky, but the quote’s presence is confusing in a review of a book where Chomsky is not an author, and I can see no other reason to include it other than to confound Fitch with Chomsky’s views, which isn’t a very fair way to start a review judging Fitch’s book. Interesting! I’ll have to read Maggie’s full review. She makes a good point about how he dealt with the uniqueness of grammar… I also felt Fitch had a weighted emphasis on certain areas of the discipline and less so on others, but I’d imagine anyone who wrote a survey of the discipline would have a biased overview.